In any way modified product has not any warranty. our products have One Year Warranty against defects, malfunctions and other types of failures. If you find a defect, don’t worry about it. Taılgate Trunk Wındow Regulator Motor INNER Gear, Land Rover Freelander. 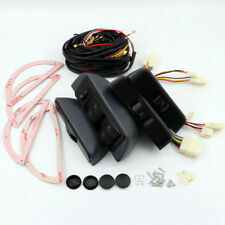 Tailgate Trunk Window Regulator Motor Gear, Land Rover Freelander. Land Rover Freelander 2002-2005. 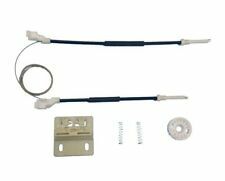 Window Regulator Repair Kit. 2002-2006 Land Rover Freelander. 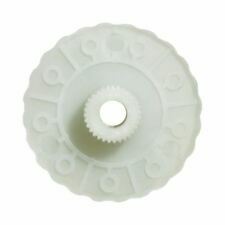 Tailgate Window Regulator Motor Gear with Roller. NO INSTRUCTIONS PROVIDED FOR THIS ITEM. SEARCH INTERNET FOR INSTRUCTIONS TO INSTALL OR REPLACE ITEM. VERIFY PICTURE ABOVE THAT IS WHAT YOU WILL GET. 2002-2006 Land Rover Freelander. 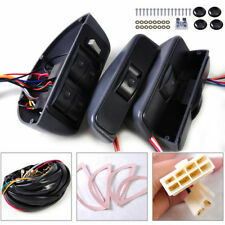 Tailgate Window Regulator Motor Inner Gear. Modifying an item in any way will void the warranty. We only warranty the cost of parts. Confirm the item(s) will install and operate properly before use or modification. 02-05 Land Rover Freelander Drivers Rear Window Lift Regulator. New Drivers Rear Window Lift Regulator Repair kit 02-05 Land Rover Freelander SUV. 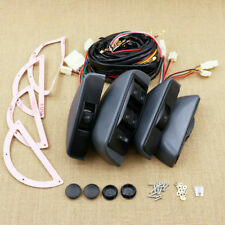 We have a New Window Regulator Repair Kit Left REAR LH (driver side) Part # CVH101212. [Anti-skid Design & PVC Soft Rubber] Anti-skid Design provides solid and secure support for you standing on car doorstep folding ladder. 1 x Car Doorstep. Car LED Light. Different car manufactures have different polarity setup, even within the car model the polarity setup on your low beams and high beams might be different. In any way modified product has not any warranty. · our products have One Year Warranty against defects, malfunctions and other types of failures. If you find a defect, don’t worry about it. Freelander All Models. 1996 - 2006. In any way modified product has not any warranty. · our products have One Year Warranty against defects, malfunctions and other types of failures. If you find a defect, don’t worry about it. Trending at $50.04eBay determines this price through a machine learned model of the product's sale prices within the last 90 days. Freelander All Models. In any way modified product has not any warranty. · our products have One Year Warranty against defects, malfunctions and other types of failures. If you find a defect, don’t worry about it. REF# OEM: EFI100021 EFI100031. Land Rover Freelander Electric Sunroof Guide Rail Repair Set LH RH NEW 02-05. 2002 - 2005 Land Rover Freelander Sunfoof Motor Gear Repair Kit. Wındow Regulator Repaır Kıt Front Left Door for Land Rover Freelander (4/5 doors) 1997-2006 LR006371W. Window Regulator Repair Kit Front Left Door for Land Rover Freelander (4/5 doors) 1997-2006 LR006371W. Wındow Regulator Repaır Kıt Front RIGHT Door for Land Rover Freelander (4/5 doors) 1997-2006 LR006371W. Window Regulator Repair Kit Front Right Door for Land Rover Freelander (4/5 doors) 1997-2006 LR006371W. Land Rover Freelander 1998 L359 [1998-2006] SUV (Open) SUV (Open) 1.8i 16V 4x4 1796ccm 120HP 88KW (Petrol). Land Rover Freelander 1998 L359 [1998-2006] SUV (Open) SUV (Open) 2.0 DI 4x4 1994ccm 98HP 72KW (Diesel). 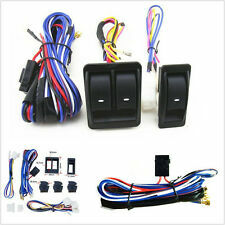 We have a New Window Regulator Repair Kit Left REAR LH (driver side) Part # CVH101212. If you are looking for the Right REAR RH (passenger side) with Part# CVH101202 We also have it Available. This fits Freelander 02 - 05.